A good PCap touch performance and the desired 24/7 long-term stability in the industrial environment also depend on the integrated embedded systems and their adaption to the PCap-Touch. We offer customized embedded solutions, suitable for your HMI module project. In order to achieve the required quality standards and to offer the necessary support, we work together with professional partners from Switzerland. Depending on the requirements, a cost-effective standard is available or a customized solution is realized. 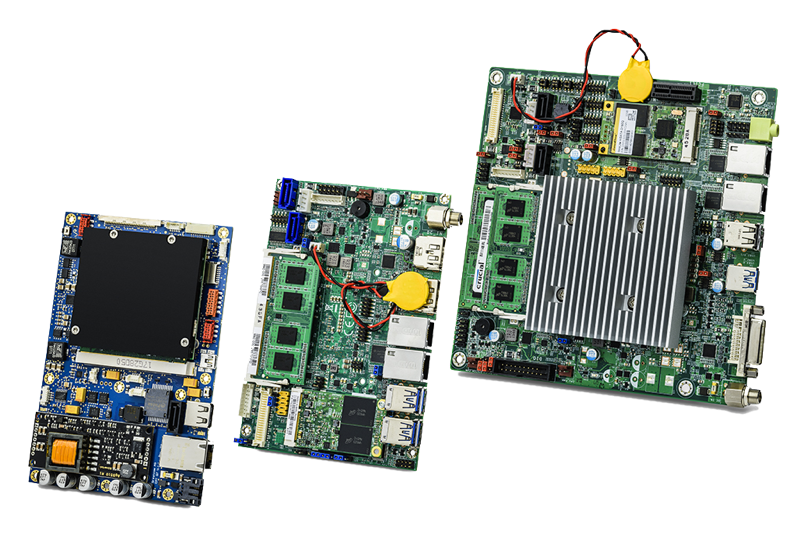 We can provide to you a costomized single-board PC with baseboard and system-on-modules as one-stop-shop. We turn your ideas into tailor-made products. Standard types of SBC such as Mini ITX, Pico ITX and others. with different equipment at internal and external interfaces according to the requirements.